During Co-production Week Scotland, Fiona Wylie, senior nurse for strategy implementation at The Prince & Princess of Wales Hospice, talks about how the organisation works closely with those it cares for. This blog was passed along by our colleagues at the People Powered Health and Wellbeing project at The Alliance. The Prince and Princess of Wales is committed to working with patients and their families to develop and evaluate the services we offer. When people are feeling poorly, frightened or vulnerable, we recognise that they may be more inclined to think we know best in how services should be delivered, but we need to change this. We need to work together as equal partners with key professionals, people using our services, their families and neighbours to design services we can offer now in our current location and in the future at our purpose-built hospice in Bellahouston Park. This approach is often referred to as co-production. As part of co-production, we had an idea recently to work on a partnership event for the community with Heart for the City, an international Christian charity based in Bridgeton. It works closely with the community supporting asylum seekers and refugees and is committed to the physical, emotional and spiritual wellbeing of children, young people and families with a special emphasis on the social economic problems that families face on a daily basis. Working with Rev Dr Lukas Njenga, the founding director and CEO, and his team from day one was a joy. We quickly realised how much we had in common in our drive to support people and their families. A small team from the hospice worked with the Heart for the City team and members of the community to develop a programme for the partnership event. On the day it was fantastic to see about 70 people of all ages, faiths and beliefs coming together to explore and dispel the myths around hospice care, and to discuss how the hospice can support people living with life-limiting illness. During these discussions the younger participants were invited to attend a creative workshop facilitated by our family support team. This was followed by everyone eating together with food prepared by participants at the event. 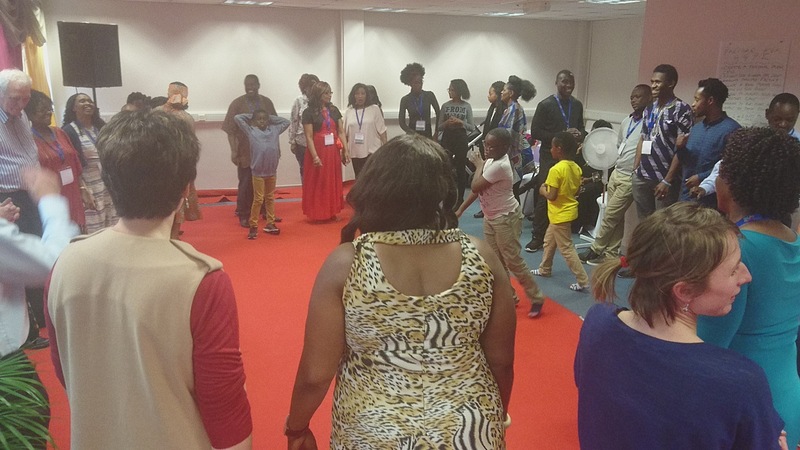 To round off our day there was an opportunity to work off the calories from the delicious lunch by participating in traditional African dances. The feedback was so positive – the day was viewed as a real opportunity for the community to come together and discuss what was important to them, and to break down some of the barriers and myths that exist. We are looking for more opportunities to work in co-production with other organisations and the people we service. We are already planning another event with Heart for the City and believe this will be the first of many.